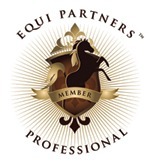 Partners - Mark Sheridan Quarter Horses, Inc. It is simply the best ride available. Once you ride in a Bob’s, you’re hooked. HorseTech provides a complete line of flax-based supplements for your equine partner. To order call 800-831-3309. All HorseTech products are unconditionally guaranteed and your shipping is ALWAYS FREE!! Marketing for your horse business, and setting the course for your success.